The fourth weekend of April was a good one for me. The weather was fantastic, a new bike, two fun races, and I got to hang out with great people. I’ve been riding gravel and cyclocross on my Crux since 2012. It’s been my favorite bike for years, but after this year’s Barry Roubaix it needed some TLC. Before I even had the chance to start any work on it, we discovered that the front derailleur mount was broken and wouldn’t be safe to use. That was a game changer. So what should I do… fix it, buy a new bike? I took the bike to the Grand Rapids Bicycle Company Fulton St. shop to see what they recommended. After discussing the options, we decided to convert it to a 1 x 10 setup. It was both a fun and affordable option. My new favorite mechanic Dan got the parts and worked late on a Friday afternoon to get it ready for me. I was riding the HellKaat Hundie the next day and Dan knew it, so he spent extra time making sure it was ready to go the distance. He wouldn’t let me take it until he was certain it was perfect. Just a couple of weeks earlier I had invested in some new wheels for the Crux… a set of Velocity A23’s. Probably the best wheels you can buy for gravel and cyclocross. For the tires, I went with the 700 x 40 Panaracer GravelKing SK which I mounted tubeless. Wider tires and lower pressure seems to be the trend, so I thought I’d give it a shot. The only chance I had to ride with the wheels was in the Barry-Roubaix. No issues with traction or control during the race, but it was not the best conditions to get a true feel for them. So I was looking forward to getting to know them better. OK, so technically I didn’t get a new bike. It doesn’t shine like a new bike nor does it have that new bike smell, but it felt new to me. And I couldn’t wait to hit the gravel with it! It was an early start for a Saturday. I was up and on the road by 6:15 AM to get to Dorr in time to pick up my HellKaat Hundie packet and get setup for the race. This was my 2nd year riding the HellKaat, which is both a fundraiser for the Juvenile Diabetes Research Foundation and a race. It’s still a relatively small event and it has a mellow vibe, which is one of the things I love about it. The location, packet pickup, the start… it all went smoothly but without any feeling of pressure. I wish I could say the same for me. This was going to be my first gravel century and I was facing a long day in the saddle on a bike that I had just picked up the night before. I had also found out late Friday night that the friend who talked me into the Hundie had to cancel due to food poisoning. I was a little amped up. Fortunately, the other rider from our group, Jane Van Hof, arrived and we set off committed to sticking together and to getting it done. This year the race start moved from Hudsonville to Dorr which required a new layout to the course. It was a great change. Rolling hills, farms, and lots of iconic scenery. There was over 4000 feet of climbing, but there were no steep hills. The gravel had some rough spots, but overall it was in good shape. A breeze picked up a bit in the afternoon, but it didn’t feel that bad since there were frequent turns which also put it at your back at times. And it was well marked. With the great conditions, the first 40 or so miles went by quickly. Jane and I rode with various groups doing a bit of socializing along the way. Eventually we ended up with a mixed group from Alger, Central District, Velocity, and Founders. Everybody was in a good mood and helped share the work load as best they could. We took a casual but steady pace. It went surprising well. However, after 75 miles, reality set in for me and it started to get tough. By mile 90 I had discovered that the hip flexor muscle could actually cramp up. Some of the group dropped off along the way, but we ended with 5 of us crossing the finish together. Roughly 6.5 hours in the saddle plus 20 minutes or so for breaks. I’ll take it. My bike was great. I ran the GravelKing’s at about 30 psi, which softened the ride quite a bit making it much more comfortable for the distance. The 1 x 10 gearing was ideal for the course. Everything about the bike was perfect. You’d never guess that half of it was replaced less than 24 hours earlier. A huge shout out to GRBC, Panaracer and Velocity for that. One of my favorite memories of the day came around mile 20, while we were still in a large stream of riders. I looked over to a pasture next us and spotted a group of horses running full out. They were gorgeous! And you could tell they were excited to see us and wanted nothing more than to join us. It was an inspiring sight; one I hope to see again next year. Yeah… I’m already planning on it for next year. Ugh… I hate my alarm clock! It was 6:00 AM, an early start for a Sunday, especially after getting up early and riding 100 miles of gravel the day before. But it was time for the Yankee Springs Time Trial. This is the WMMBA’s biggest fundraiser of the year and it has a huge impact on the trails that I love to ride, so it’s important to me to help. This year at the race I was handling the raffle. A Velocity wheelset and a Küat bike rack with all the proceeds going to our trails. I was fortunate enough to have my son join me. He is required to volunteer several hours per year for school, and he had such a good time with it last year that he was happy to join me again. I’m not going to lie; we were using every angle we could think of to sell those raffle tickets. I think we came out pretty good by the end of the day. The weather on Sunday was perfect. All the reports I heard from the racers were that the trail was in amazing shape and riding the fastest they could remember. I so wished I had brought my bike. Screw the tired legs, I could have managed a lap. That is my one regret for the weekend. Founders Racing was well represented at the race this year. We had 7 riders competing at the Expert/Elite level with Jeremy Karel and Mike Bernhard making it to the podium. We also had a large group volunteering, including Tim & Nancy Curtis as Race Directors, and Martin Hall, Terry & Denise Sensiba and myself helping on the committee. It’s a big race for the team. In the end the YSTT had a record number of racers… 777. It was the first year there was a beer corral and all the feedback was positive. It was great to be a part of it and to know that I’ve done my part for our local trails. Whew… a long, tiring, but fun weekend. What a great way to start the season. I completed my first race of the year, traveling to Dahlonega Georgia for the Southern Cross 55 mile gravel road race on Saturday March 4th. use and I knew it was going to be a tough one simply due to the climbing. For this event, however, I was going to use my cross bike with my 35mm Panaracer tires. flashers ahead wasn’t alarming. However, as I got closer, there were several flashers and I then noticed a north bound car in the median. Then another as the highway became an overpass for a local road underneath. Just then, the pickup truck in front of me fishtailed in the left lane! I moved to shut off my cruise control and as I did so my rear tires also spun and the car jinked. I steered to the right lane with the intention of steering onto the right side to ditch if necessary as that was the most clear but as soon as I did the ice was gone and my Subaru was grabbing the pavement. Crisis averted. I drove safely on to Batesville Indiana where I finally got a hotel room and a pizza and settled in for the night. Friday drive got me to the Montaluce Winery first about 3pm where I picked up my race packet. The race venue is located in a field a bit of a ways from the actual winery. The entire property is made to look like an Italian valley complete with a small stand of houses looking like an Italian village and couple villas. The winery has a high end dress-clothes restaurant but their store is right inside the entrance. SO I parked and went inside to check out the wines and walked out with a dessert wine and a dolce for Joni and a Cabernet Frank for me. a large common area. The bedroom I was in had two bunk beds and my three room mates were also there for the bike race. The other bedroom has a queen size bed rather than bunks. The basement also has a kitchen area for guests to prepare their own meals- though only lunch and dinner are needed for this as breakfast is part of the $18 per night lodging fee. (Breakfast consists of pancakes or french toast, scrambled eggs, yogurt, grits, oatmeal, coffee and orange juice. The eggs come from a pen outside with a dozen chickens). The hostel was packed this trip and there were additional beds in the basement common area. It is the start of the northbound Appalachian Trail hiking season. A large group ferried out Saturday morning and again new people were there Sunday as well to head out. Saturday breakfast of french toast, coffee, juice and scrambled eggs at 730. The race started at 10am with a racer meeting at 930am. Just after 930am Lance Armstrong, George Hincapie and Christian Vandevelde showed up in a large Suburban in their Mellow Jonnies jerseys to race the event. (Lance ended up 4th place, Christian ended up 6th- both in Open category. I heard Hincapie crashed out. He’s not on the finish list). The event was sold out at 350 racers, with only 321 showing up on the results. 29 racers didn’t finish. I was satisfied with my finish time but I lost perhaps 20-30 minutes on the course for two reasons which I will explain later. My intent is to go back and try too finish in under 4-1/2 hours. The race has a drop bag option with one aid station for this but I just used two bottles of Heed, Endurolytes and a flask of Espresso Hammerjel. I did not intend to stop unless I needed to. From their website: For 2017, the main gravel road configuration of the course will remain the same. We are eliminating the cyclocross elements at the start of the race, in favor of a neutral rollout on the roads due to the bottleneck that typically forms at the first turn off the pavement. To keep it interesting, we are adding (given dry weather) approximately 5 miles to the course, including the Jones Creek Dam Trail. This section is very ride-able on cross bikes, though possibly challenging due to some steeper grades, and riders should be spaced out before encountering this section to minimize congestion. The return route to the Winery will be on Hightower Church Road (same road you came in on) and not Wahsega Road as in the past. Upon returning to the Montaluce Winery, riders will be greeted with some traditional Cyclocross obstacles, however, expect a more direct return to the finish from previous years, so that you can start the post-race celebration a little bit quicker. Total course distance is just under 55 miles and total elevation gain is approximately 6400′. I debate if I should wear my jacket or not but decided not- it was a good choice. My attire was jersey, windbreaker, with arm-warmers and Legwarmers and full finger cross gloves. There was climbing right from the start but the real climb began about 15 miles in with a long 5-mile steeper climb. I was riding well and passing people- mostly those on mountain bikes. (It is a decision to be made- cross bike or mountain bike- for this event. More on that later). I was even passing racers on the climb who had the better mountain bike gearing which made me feel pretty good. But as rode the longer steeper first climb between miles 15 &amp; 20 my gut really started bothering me. I had been uncomfortable for some time and had not been drinking much Heed. I thought I might eventually get a bit dehydrated but couldn’t drink. Finally the discomfort became unbearable and I had to do something I have never had to do before at a biking or running race. To be tactful, I had to go into the woods and decide which article of clothing to sacrifice. Fortunately it wasn’t a glove or a sock, but the Chaco neck-pullover given to the team by Tom and Merrell (sorry Tom). This whole delay cost me probably 15 minutes and I saw many riders above me on the road go by whom I had earlier passed. Now that my discomfort was abated, I got back on the bike. It took a mile or so for my legs to feel good and then I rode fairly well. 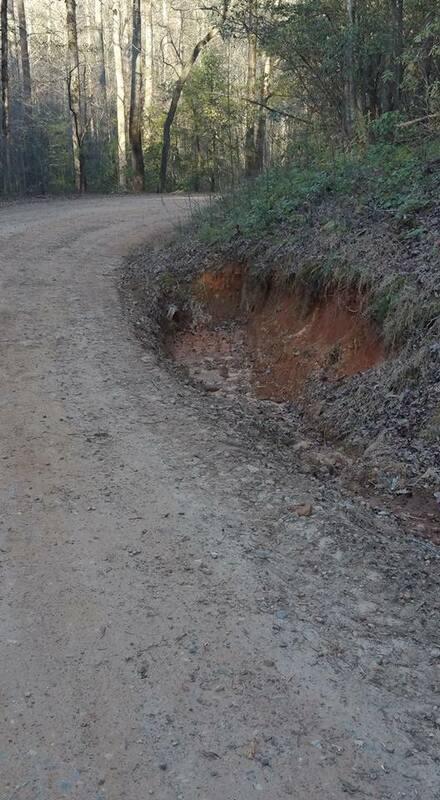 The Southern Cross (like the Gravel Grovel in Indiana) includes a 3-4 mile fairly serious mountain bike segment! 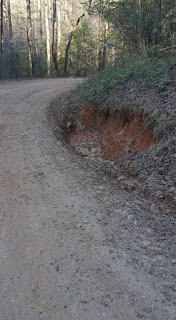 Imagine racing Barry Roubaix and riding 3 miles of the back section of the Yankee Springs mountain bike trail before jumping back onto the road and you will have an idea. Rocky, rooted, up and down. Frankly, however, I rocked it! I rode this section so well that one mountain bike rider I passed even gave a kudos shout out to me! THe only bobble I had was on a tight turn switchback to the left and my front tire rode up on the berm and cause me to put a foot down, so I ran the next 20 yards and got back on the bike. There was one further section later so steep ALL riders around me were walking it and I did so as well. Back on the road. Other than the “mountain bike section” the only other reason to ride a mountain bike is the gravel road downhills. They are super fast and almost 100% bumpy. I rode the brakes constantly just to keep the bike under control at about 18-20 mph. But the descents were jarring as I did so because my palms were on the handlebars and fingers on the break interrupters. (My cross bike is fitted with brake interrupters on the flats. I prefer, in more technical sections, to ride on the flats and am not comfortable riding in the drops to hold the brakes. So I really like my brake interrupters- it’s more like riding a mountain bike in technical areas. One last fast downhill before the 50 mile mark was the next glitch. I was coming around a sweeping left hand turn and was going 22-24mph and squeezing the brakes but realized I was NOT going to make the turn and tried to steer away from water capture ditch on the right side and the bike went down. I slid several feet on my left side as a pickup truck came toward me from the other direction. Luckily I was wearing armwarmers and got a bit scraped up but not seriously. As I got up to move my bike and get going, another rider on a mountain bike came roaring down the turn. I tried to move right but it looked like he was going that way so I moved back the other way just as he too steered that way. He didn’t shout out direction and he went right INTO the ditch and hit the wall! OMG. I jumped into the ditch and he just laid there against the stone moaning. I thought for sure broken collarbone or rib or such. The two young men in the truck moved both our bikes. Another rider stopped and asked if they could take the downed rider to the winery if necessary (six miles away). The downed rider eventually said he was okay and not injured-just had the wind knocked out of him. Fortunately the wall he it at the end of the ditch was moss and grass covered, providing some cushion. As he and I prepared to get out of the ditch another rider came in fast and hot and endo’d onto the edge of the ditch as we put our hands up to catch him to keep him from falling in. Treacherous corner! I got my bike going after getting the chain unstuck, rode as hard as I could to try to break five hours and passed a few riders. But the ditch had cost me another 15 minutes. Had the other rider not crashed I would have just been riding onward after getting up but I wasn’t going leave him without ensuring he was not hurt. In the end. my finish time 5:02, 48th of 66 racers 50-59. 243rd of 321 racers that finished. To the debate: Mountain bike or cross bike? Frankly, if you are NOT comfortable using a cross bike on mountain bike trails even for only 3-4 miles a mountain bike is probably necessary. I think a cross bike is faster overall and I will plan to use it again there, but if I went again I would do a couple things differently. 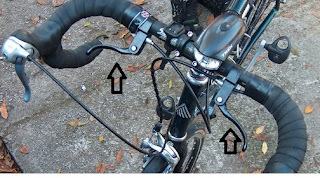 c) even perhap figure out how to put a slight suspension or shock absorbing mechanism on the cross bike. The race was well marked and staffed with volunteers. The food was excellent and we also got to have two beers from Terrapin Brewery. I had the Hopsecutioner IPA, which I liked so much I found a six pack at store Saturday evening and brought it home. FYI I also had dinner at Shenanigan’s Irish Pub both evenings but they were very busy- make reservations if you go with a party. I was solo and at the bar. This would be a great event for several of a team to come to participate together. I will plan to be there next year. If no teammates come, I suggested my wife join me and Saturday after the race we can come back to the winery in our nicer clothes for dinner. Relevant links below! Photos at the Facebook link. Welcome to all our new team members! Our first racer profile will feature none other than Scott (Tenner)Tencate. Many of you may know him as the Robin to the Batman of race promotions. But there is so much more to this silver striped mop head. A Capricorn, Scott enjoys mountain biking, mountain biking and….ummmm….mountain biking. He can often be found (when not in spandex) exploiting natural habits, rural communities and innocent children for the greater good of the cycling community. While pursuing a degree from Fresuae School of Cosmetology in Massachusetts, Scott was discovered by a modeling agency based out of the back of a custom van with shag carpeting. Although he made very little money modeling for Vidal Sassoon and Dep, there was one good thing to come of these dark days. During one of these shoots he met the love of his life, Marnie, who was making quite a name for herself as the stunt double for Kelly McGillis used in a particular, not so PG scene of Top Gun. From this moment Scott decided to take life seriously, start a career and settle down. So he took a job as a rodeo clown. Due to an allergy to BPA free plastics found in today’s Rodeo barrels, Scott was eventually forced into a corporate sales position at Willy Wonka’s chocolate factory where he spent many years successfully building a client base of toothless school children. Eventually Marnie tired of him humming Oompa Loompa songs and smelling of chocolate and forced him into the cutthroat world of bike race promotions. Unless you have been living under a rock, you know the rest of the sordid tale of Tenner.